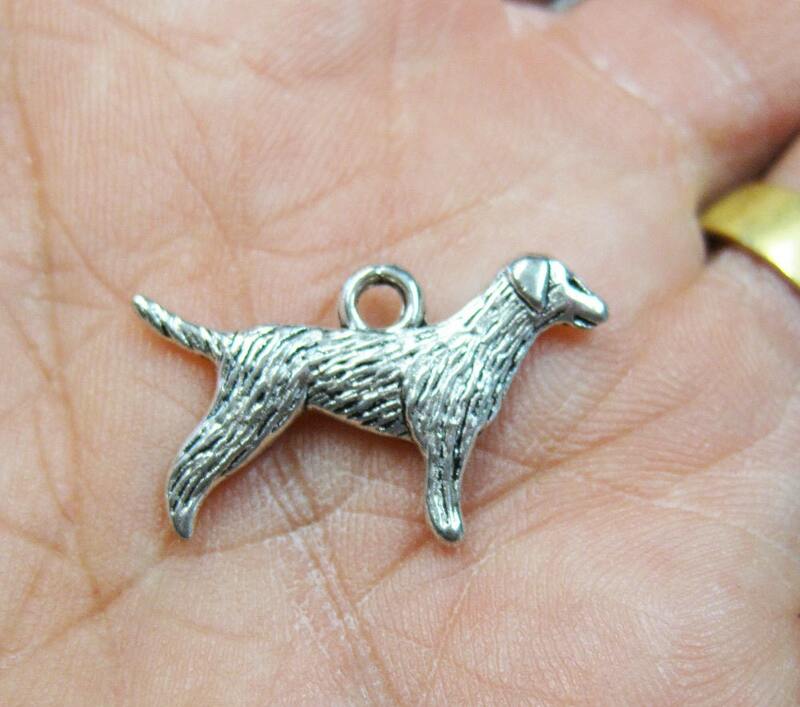 10 antique silver finish dog charms. 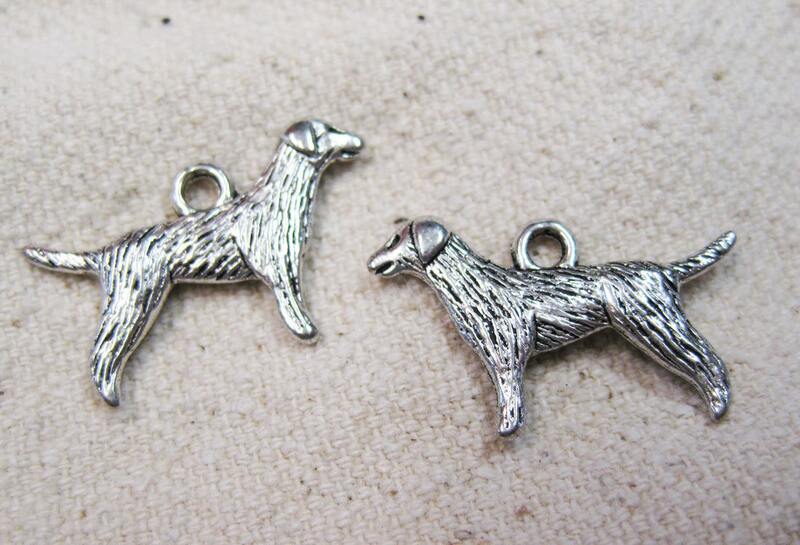 Nice detail on these double sided charms which measure 15mm x 24mm. Perfect for the dog lovers! Add a jumpring to easily attach to charm bracelets, book marks, key chains, zipper pulls, necklace chains, earwires and more. Lovely little retrievers arrived quickly. Can't say enough about these charms. They're a great buy.